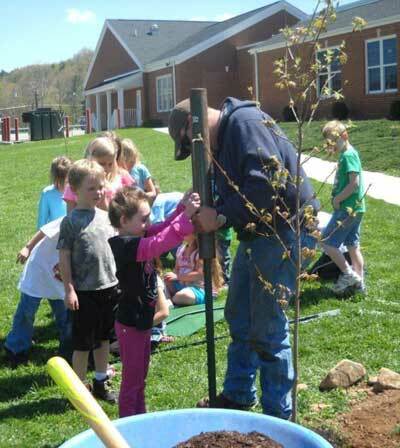 Brandywine Elementary School received 12 shade trees through WV Project CommuniTree for planting this spring on their campus in Pendleton County, WV. The holes were dug by four parent volunteers after school hours. 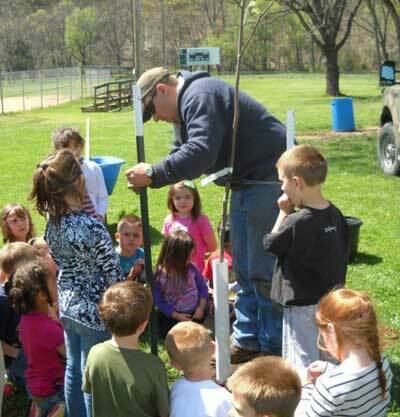 Brandywine Elementary School’s CTree Liaison, Benjamin Heavner of WVCA, assisted the principal in planning the event and led the students at the school the day of the tree planting. 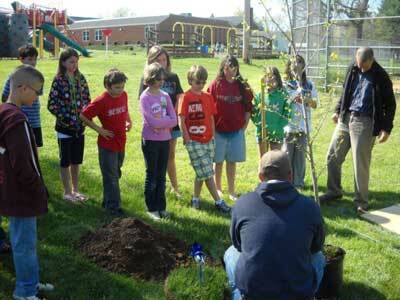 Each class, preschool through sixth grade, and the class teacher planted a tree under Mr. Heavner's guidance. 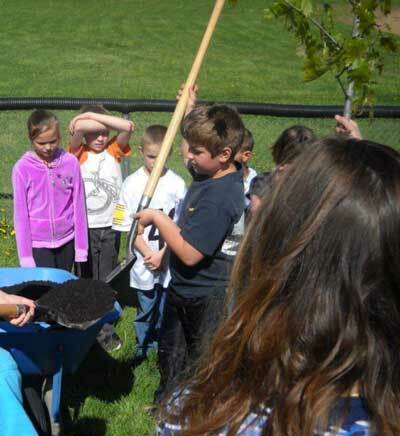 Every student in the class got a chance to participate in some part of the tree planting process, i.e., filling in the dirt, pounding in the stakes. 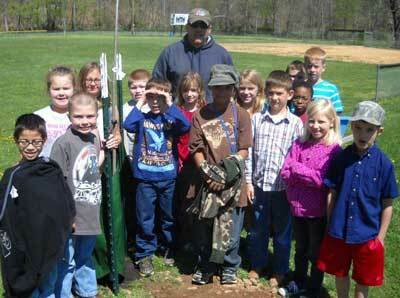 Mr. Heavner also provided education about the how to plant a trees and why trees are beneficial at schools. 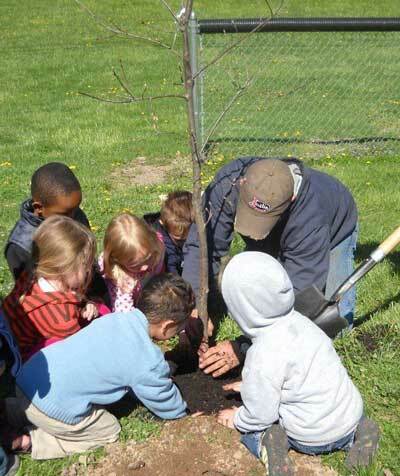 On the day of tree planting, the weather was warm and sunny; just right for planting trees. 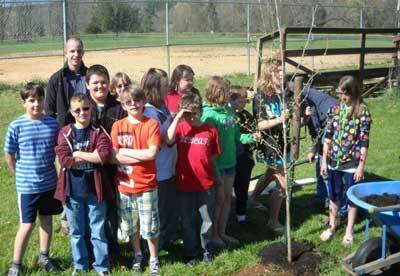 Approximately 140 students and teachers participated in this tree planting. A summer watering schedule was generated and the staff and Title I personnel signed the schedule volunteering to water the trees throughout the summer months.